﻿﻿﻿﻿ For the second year in a row, Mizuno and Fleet Feet have team up to for Project Zero. The partnership is a collaborative effort driving awareness and funds in support of the Breast Cancer Research Foundation. 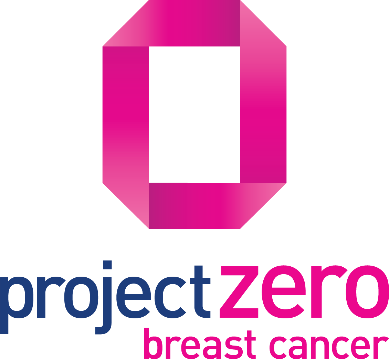 Project Zero has one simple and yet, incredibly difficult goal - turn 1 in 8 women affected by breast cancer into 0 in 8 women affected by breast cancer. The hard reality is that 1 in 8 women will be diagnosed with breast cancer in her lifetime. We want to make it 0 in 8. When you visit any Fleet Feet location and purchase the special edition Mizuno BCRF WAVEKNIT® R2 running shoes, $10 will be donated directly to the Breast Cancer Research Foundation - the largest non-profit fundraiser for breast cancer research. With just one pair of shoes, you’ll be helping to fund the research of more than 275 scientists across 15 countries and 6 continents. $10 from every pair of special edition BCRF WAVEKNIT® R2 running shoes will be donated to BCRF. The money raised will go toward funding BCRF research on issues, such as how diet and exercise influence breast cancer risk and outcomes. $50 funds 1 hour of research, so each shoe funds 10.2 minutes of research. There could be a break through at any moment. BCRF funded research has shown that weight loss at any age significantly lowers breast cancer risk factors such as those controlling the blood vessels that support tumor growth. BCRF is the highest rated breast cancer organization in the U.S. with an A+ rating from Charity Watch and four out of four stars from Charity Navigator. Donations can be made directly to BCRF online at www.bcrf.org.